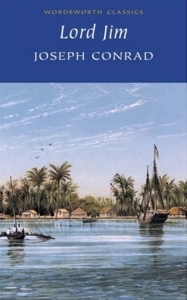 I read perhaps Conrad’s most famous novel, Heart of Darkness (upon which Apocalypse Now is based), a few years ago and it didn’t make too much of an impression on me. 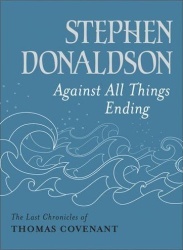 (I read it because it was a book Stephen R Donaldson recommended in his Gradual Interview.) I saw this book in a bookshop in Reykjavik and I wanted to buy a cheap book to supplement my travel reading matter. After I bought it, I realised I already had a copy somewhere amongst my possessions back in Britain; for which reason, I handed it on to my friend Botond once I’d finished it. 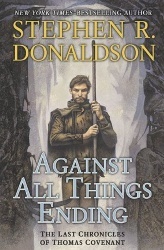 The novel has many similarities to Heart of Darkness – mainly that is narrated (mostly) by the character Marlow. However, it begins as a third person narrative about the youth of a young seaman made known to the reader only as Jim. Without introduction by the authorial voice, Marlow begins telling Jim’s story to a group of listeners one night. Jim is afflicted – to the core of his being – by being involved in some shameful episode on board a ship for which he served as first mate. The tale is Jim’s attempt to flee from this shame and redeem himself from it. The first part of the book tells, in a very indirect way, what happened in this shameful incident – revealing one fact crucial to its understanding only two-fifths or more of the way through the novel. In the second part, Jim has taken up work as a trading representative in a native village, apparently somewhere in Indonesia. He is virtually the only white man the locals have ever seen and, when he gains their respect, they start to call him Tuan Jim – Lord Jim. 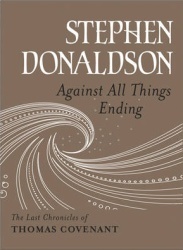 This latter part of the book resembles a kind of benign version of Heart of Darkness. Marlow breaks off his nighttime narrative and only resumes the story in a letter addressed to one of his listeners who took an interest in it. In some ways, the text is extremely tedious – although it never falls short of an evocative (if slightly prolix) pulchritude. The story is constantly related in a series of sub-stories regarding the other characters from whom Marlow has learned Jim’s story. Even the long interview he has with Jim himself after his appearance at an inquiry flits back and forth between Jim’s words and Marlow interpretation. This is, of course, a crucial part of the author’s intention. The whole story is a matter of hearsay and ambivalence. Even the very moment that Jim commits himself to his shame is related in a way that suggests he wasn’t responsible for his own actions, that his own memory is a narrative he doesn’t quite believe. The second part of the book is a little more to the point and the dénouement is inevitable and both satisfying and unsatisfying. Given all his self-doubt and the slings and arrows that the world throws at him, Jim finds the only peace he can find. Jim is an unlikely protagonist for a novel – he is continually described as, and shown to be, ineloquent by the loquacious Marlow. He stumbles over his words, he jumps to conclusions only to be embarrassed by them, he is full of juvenile imagination. If he was presented in a happier scenario he would be a lovable character – instead he is desperately pathetic. So, although it’s slow and verbose (though ultimately not too long), Lord Jim is a great book. It tells a complex, human story in a complex, human way. It reminds the reader that all stories are interpretations – even memories. I enjoyed it a lot, in the end. I’ll have to dig out my copy of Heart of Darkness and give it another go. So – do you enjoy writing? And, of course, I mean enjoy in a broad sense – I don’t mean ‘Is it fun to write?’, but is it broadly a pleasurable experience? Are there certain things that are more enjoyable to write than others, or does it depend on your state of mind at the time? I did creative writing at university and I remember one of my lecturers saying something along the lines that if writing is fun, you’re probably not very good. Is that something that rings a bell with you? “If writing is fun, you’re probably not very good.” I can’t speak for anyone else. And in any case, the assertion is too broad to be useful. But it sure rings a bell for me. I would never use a word like “enjoy” to describe the experience of writing. I call it “wrestling with the Angel of the Lord”: it’s always arduous, painful, and frustrating. In fact, whenever I’m writing easily, I know I’m doing something wrong. Which explains, at least in part, why it takes me so &^#$% long to produce a book. So why do I do it? Why do I bother? Well, this is the work I was born to do. I’m more consistently alive when I’m writing than I am under most other circumstances. Writing makes me–for lack of a better term–a bigger person than I could hope to be otherwise. So it’s hard. So what? Name something that you consider worth doing on a profound level; and if you think it’s easy–or even fun–I’ll be inclined to think that you aren’t putting your heart into it.